What's it take to make an indie record sound like a big time commercial project while retaining its organic roots and feel? How about getting the A team together to support a talent that knows what she's doing and what it's all about. From Mike Finnigan's smoking B3 choogle to Morvan's searing to-the-point vocals and lyrics, this is a rousing, fist pumping good that's as life affirming as electro blues can be. This white girl might have the blues, but she ain't got nothing to be blue about. Another killer set from one of the genre's leading lights. Morvan's latest may be her best. She's in fine voice and her playing is the center of every song, whether a shuffle, a slow blues, or an R&B burner. She's also writing fine tunes and filling them with tasty, yet blistering Strat work that hits all the right notes and overflows with soul. 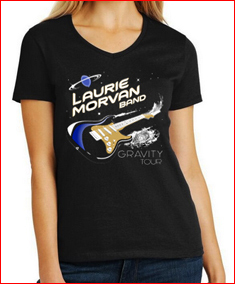 The Laurie Morvan Band is another fine example of the future of the blues being in very good hands. And what hands she's got, her six-string skills are spectacular. 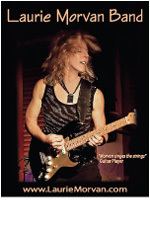 This young lady has talent, from songwriting, she wrote the album's twelve tracks, to being a masterful blues vocalist. She's hot, her music is hot, her band is hot. Her songs let you know she is ready to take on all comers in this male dominated industry. Fearless and Fresh. Few standard blues records by non-major artists offer any surprises. 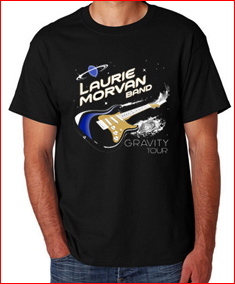 But Laurie Morvan adds a bit to the blues genre. Her songs aren’t all that different, but the playing is unique enough to make you take notice. 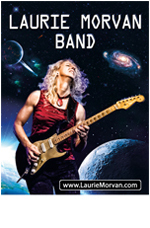 Solos and fills lift this effort above your standard blues fare; Morvan plays with plenty of imagination and doesn’t rely on licks or tricks heard a million times. Blues-rock songs dominate; “Kickin’ Down Doors” has a great lyric and opens with a lick that grabs. “Where Are the Girls With Guitars” has an extremely clever lyric and playing to match the message. 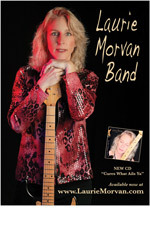 Morvan has a surprising and pleasing grasp of chromatic licks, even on a good ol’ shuffle like “My Baby Says,” where she throws in a unique solo. “One Little Thing” is a quiet minor-key tune that shows off her lyrical smarts and soulful playing. Lyrically, the same can be said for the piano ballad “Family Line,” while the instrumental “Wiggle Room” opens with wah and offers a relentless solo that shows the true strength of her chops. 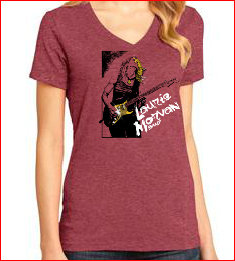 There’s a lot of talk in guitar circles about how women just don’t seem to cut it when it come to guitar playing. But Morvan’s work is fearless. Check it out, and you’ll see – the debate is over. Produced by Grammy winning drummer and producer Tony Braunagel. 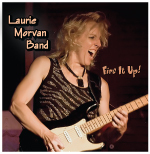 Blues Foundation Award winner Laurie Morvan recorded this exciting CD with some of the blues industry's finest musicians. 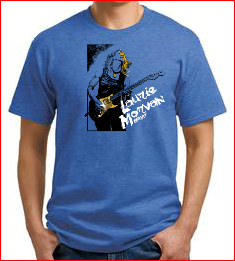 You can pick up a little piece of band history with these Backroad Shack t-shirts. 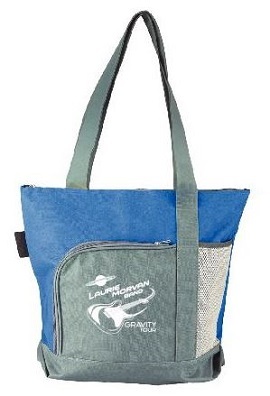 LMB fans are raving about this heavy duty canvas tote bag! Dimensions 16.5W x 14.5H x 4.5G in. We process your credit card safely and securely with PayPal...no membership is required! Send cash or money order (payable to Screaming Lizard Records). Be sure to specify exact titles, quantities, sizes, colors. Thank you so much for your patronage!! 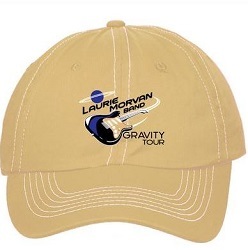 The Laurie Morvan Band and they are tremendously appreciated!